Our staff is available 24/7 to assist anyone struggling with drugs and alcohol. We offer sober living housing and substance abuse treatment options in Saint Augustine and West Palm Beach of Florida. 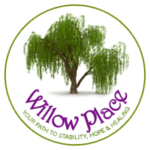 If interested in addiction treatment or halfway house living arrangements, feel free to call or send a message below. If you or a loved one has any questions about The Lilly Pad of Saint Augustine, contact us today for more information.